Emails from the 2014-2015 school year are on this page. Important emails are listed in reverse chronological order with a list of contents. Click on “JHS Band Update” to open a PDF of the email sent on that date. Click on “Attachments” to open any attachments sent within the original email. Some links may be broken for any files that have been removed for storage reasons. FMBC Marching Band Competition at Jupiter! Band Banquet: May 1 – It’s Not Too Late To Attend! Winter Guard Update: 4th in the World and FAN FAVORITE! Congratulations Mr. Larkin – Teacher of the Week! – Parents: JHS Graduation (Band Chaperones): May 19 Chaperones still needed! – SFWGA Champions and Fan Favorite! – Watch WGI World Championships from Home! – Would you like to order a Winter Guard T-shirt? – WGI Southeastern Championships: “A” Guard: 1st Place ! Wind Symphony MPA Results: Straight Superiors! – Superintendent Search – Take the Survey! – DonorsChoose.org Project: Drum Set – COMPLETE! – SFWGA Premiere Event – THANK YOU! + 2nd Place last weekend! – THANK YOU for Funding our Latest DonorsChoose.org Project! – Current DonorsChoose.org Project: $729 to go – 3 DAYS LEFT !! – Current DonorsChoose.org Project: $917 to go – 10 DAYS LEFT !! – Current DonorsChoose.org Project: $917 to go – EXPIRES JANUARY 25th !! The Spirit of Jupiter is marching in the 38th Annual JTAA Holiday Parade THIS Sunday, December 14. Students must provide their own transportation to the parade start and from the parade finish. The Spirit of Jupiter is in position #21 in the parade. SPIRIT OF JUPITER ON TV ! The program airs daily on The Education Network (TEN) on Comcast channel 234 and ATT channel 99 at 3:30am, 12:30pm and 7:30 pm. Finally, CBS Channel 12 will run a portion of the segment during the Sunday morning newscast anchored by Ric Blackwell. THIS SUNDAY (12/14), the story will air once an hour from 6:00 AM to 9:00 AM. We are ordering CHAMPIONSHIP t-shirts to commemorate the Spirit of Jupiter first place win at FMBC! These kelly green t-shirts are $15 each. The front of the shirt will have the JHS Band logo (similar to the show shirt), and the back of the shirt will have the ONE TRIBE show shirt design and “2014 FMBC STATE CHAMPIONS” underneath the logo. Please see the order form on the Forms page. Orders and payment can be placed in the marked collection box by the kitchen in the band room. Cash or checks payable to “JHS Band” will be accepted. These shirts are available by PRE-ORDER ONLY. We are NOT ordering ANY extra shirts – if you want one, please turn in your order ON TIME!! Orders MUST be received by Monday, December 8 so that the shirts can be received before the holiday break!! The band room will be open late on Monday night due to the concert rehearsal. Call time is 7:45 PM in FULL COMPETITION UNIFORM (new jackets) WITH INSTRUMENTS (instrumentalists) and ALL FLAG EQUIPMENT (guard). Meet in front of the Wyndham Grand main entrance. Students should be done by 9:15 PM. Students should plan to take EVERYTHING needed for the performance AFTER SCHOOL on Thursday 12/4. The band room WILL NOT be open before the event. See email for parking information and volunteer opportunities. There are several items available for purchase to commemorate the history-making JHS FMBC State Championship! Students are to arrive in the band room Friday, November 21 with everything for the trip NO LATER than 7:30 AM. IMPORTANT: Chaperones and students who are leaving their cars at school overnight must park in the staff parking lot at the front of the school and place the attached parking sign on their dashboard. NO ONE should park in the Daniel’s Way lot on Friday morning. Bring a bagged lunch and your water cooler for Friday. Bring CASH for Saturday dinner and Sunday lunch and dinner. Bring EXTRA CASH for t-shirts, DVDs, programs, pins, and other souvenirs. The semi-finals performance at Plant HS in Tampa is 2:18 PM on Saturday, November 22. Retreat is at 3:00 PM. We will have a drawing for a FREE 26” PLAIN WREATH – Donate one ream of copy paper – Get one drawing ticket! ONE ticket per ream of paper! We are also accepting donations of gift cards and CASH to help us purchase food for our FMBC weekend. Attendance at the Band Parent meeting earns TWO (2) hours towards the JHS Band Volunteer Credit. Please be sure to SIGN IN at the meeting. Minutes from our October meeting are available here. The Spirit of Jupiter will rehearse from 5:30 pm to 8:30 pm this Friday, November 14 at Harbourside Place for its December grand opening. Students should tell Mr. Larkin if they need rides to this rehearsal. Students must wear the “official” practice uniform (including the JHS Band-logoed mesh athletic shorts) and bring instruments. Color Guard should bring ALL equipment. Bring water coolers and flip folders! We will not use pit instruments, but we may need help transporting battery instruments and/or other percussion equipment. Park in the parking deck or in the parking lot underneath the bridge. Meet at amphitheater stage. This Thursday, November 13, we will host our FIRST Spirit of Jupiter ONE TRIBE Send-off at the stadium! Don’t miss your last opportunity to see the complete show locally! Call time is 9:30 AM. This will be a BIG event – invite your friends, family and all JHS Band supporters! This event will be promoted within JHS and in our community. This FREE performance is open to the public. Come out and cheer on the Spirit of Jupiter marching band as they present their show ONE TRIBE in full uniform for the LAST time locally. Light refreshments will be available for purchase at Concessions. – Marching Band Needs to Fill ONE Spot! Call time is 10:00 AM. Call time is 9:00 AM. Christmas trees and other Balsam Fir products are now on sale!! For many years, the Jupiter High School Band has been the place to go for beautiful live Christmas trees, wreaths, garland roping and centerpieces. Let your friends and neighbors know early they can order a live Christmas tree straight from Nova Scotia through you. THIS IS OUR BIGGEST FUNDRAISER OF THE YEAR! A flyer/order form is available on the Forms page and in the band room. Posters are also available in the band room. Order forms are due November 1st. Collect payment at the time of the order. Please turn in orders as you receive them! Unlike other fundraisers, you do not need to submit all orders at once. Thursday, October 2: Middle School Night / Field Dedication Ceremony / Football Game / Meet & Greet !! – Marching Band Needs to Fill TWO Spots! Our NEXT Band Parent Meeting is THIS THURSDAY, September 18! Who: ALL parents of JHS Band students! An agenda for this week’s meeting is available here. August meeting minutes are on the Booster page. Attendance at the meeting earns TWO (2) hours towards the JHS Band Volunteer Credit. Please be sure to SIGN IN at the meeting. – Volunteers Opportunities – TOO MANY TO LIST HERE! – DonorsChoose.org Update – TWO PROJECTS COMPLETED! Friday’s Football Game is now an AWAY game has been MOVED to Jensen Beach HS. There will be NO band activities on Friday night. Spirit of Jupiter DOES still have rehearsal on Saturday from 1:00 to 9:00. First Football Game This Friday! – Helpful Hint: Write your child’s name in their band clothes! – Do You Still Need Vipers? We need help from ALL JHS band parents with an important marching band project! We are building teepees and other props for this year’s show at EVERY marching band rehearsal until everything is built, and we need to get this done as soon as possible. Earn hours towards the $50 Volunteer Credit by volunteering! Be sure to sign in AND out when you volunteer so we can track your hours. You can sign in/out with Tim Kellogg at the work location or on the sign in sheet taped to the shelves in the band room kitchen. If you can help, you can reply to this email, contact Tim Kellogg at kelloggx4@bellsouth.net, or just show up! Band rehearsal dates are posted in the online calendar on the band’s web site. – Saturday 8/30: PROP BUILDING HELP NEEDED starting at 9 AM – JUST SHOW UP TO HELP! – DonorsChoose.org Update – Digital Sound Mixer Purchased! For Parents of ALL students enrolled in a JHS Band Class! Our FIRST Band Parent Meeting of the year is THIS WEDNESDAY, August 27! – Saturday Schedule – Remember donations for Saturday night dinner! Volunteers needed the first few days of school! See this email for more information on how you can help! – Volunteers Needed – Band Camp / Spirit Rehearsals / Etc. Important announcement regarding JHS lockers for Spirit of Jupiter members! If you have not already purchased a locker via the pre-sale at the end of the school year, you can purchase one on Monday by turning in your locker paperwork (available online here) at the beginning or end of rehearsal on Monday. Otherwise, you will have to purchase a locker the first week of school during lunch. Jupiter High School Band will sell these popular coupon books starting Thursday, August 7 to Saturday, August 23. Books are sold for $20.00 and 50% of that goes towards your student’s fundraising account! For details on how to participate, see this email. Spirit of Jupiter Marching Band Camp Starts in a Week! Please review this important information before camp starts on Monday, August 11! – NEW Pictures on Flickr! To take advantage of this deal, you MUST ORDER YOUR SHOES by 11:59 PM (CST) on Saturday, August 2. Using the bulk discount code saves you $9.25. All shoes ordered using this code will be shipped to Diana Johnson-Ford and distributed at school. No discount is available on orders placed August 3 or later. Please note that ALL Spirit of Jupiter instrumentalists are required to have Vipers as part of the marching band uniform. No other types of shoes are acceptable, and these shoes are NOT available locally. Other online sites can be used to purchase Vipers as listed on the Uniforms page of our web site. Participation in the bulk order is not mandatory, but we offer it for your convenience. Please follow the instructions carefully! Help us get a new Digital Mixer Board! We are so close to our goal. We have already had 10 donors and we need YOUR help with the rest. I created a request on Donors Choose for a new digital mixer board. This will help enhance our audio technolgy and take us to the next level of electronics. Click on the following link to donate! Anything helps! Thanks SO MUCH! Summer is a GREAT time to do some fundraising! Please visit our Email page for additional information. Please visit our Email and Calendar pages for additional information. Interested in learning more about drums?? Enjoy a fun interactive time with long time touring and studio drummer and educator Brad Schechter. 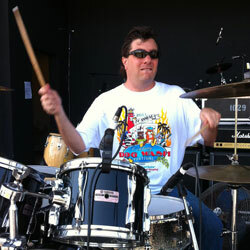 Brad will demonstrate the basics of drumming and get everybody involved in a drum session!!! or Monday June 23 from 7 – 8 pm. June Band Camp – Starts Monday! For more information please visit our Email or Calendar pages. We’re gearing up for the 2014-15 band season. 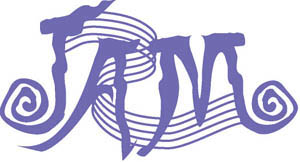 Check out our Forms page for new forms required for next year’s band. It’s going to be a great year! Our Calendar page is constantly updated with important dates. Have You Gotten the Latest Email? The Latest Band Email News is listed below. If you’re not on our email list, please contact Debbie Wiley. All of the forms required for marching band are located on our Forms page. This includes the Spirit Fair Share Agreement outlining the fair share total and suggested payment schedule. Parents and students must sign most forms and the Health Information and Authorization Form must be notarized. Parents of Spirit of Jupiter members are eligible for two $50 Volunteer Credits towards their student’s fundraising accounts for volunteering 25 hours during marching season. Please direct questions about Fair Share to Mr. Larkin at michael.larkin@palmbeachschools.org or Band Booster Treasurer Rose Lynch at jhsbandtreasurer@comcast.net. Check out the New Pictures on our Photos Page!